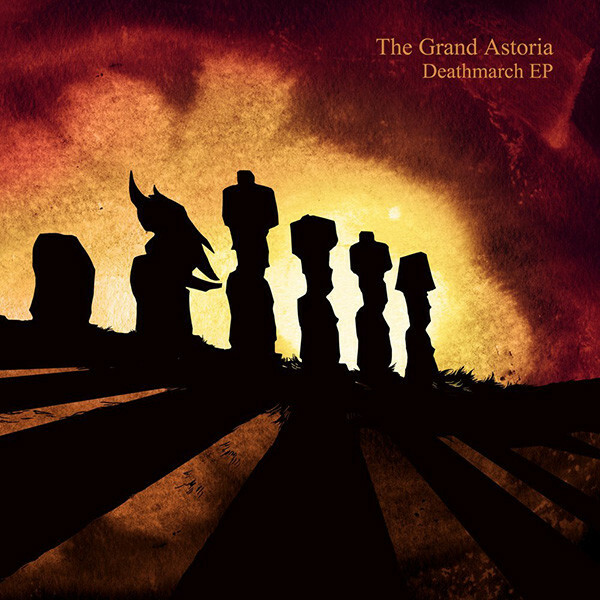 I first encountered The Grand Astoria when they appeared on FdM’s 2011 Roqueting through Space compilation. Then again on FdM’s 2013 Strange Fish compilations. I was impressed by their mastery of psych. space rock, and krautrock, but it isn’t until now that I have been able to listen to their 2013 EP Deathmarch. The music on this five-track EP is a bit different, more akin to hard rock and Black Sabbath than space rock, but all masterfully played. Two of the tracks are instrumentals and the other three with unaccented English lyrics. Though there is that broad pronounciation that you sometimes encounter when Brit actors try to sound American. If you like cascading sequencers, heavy guitar power chords, melodic metal lead lines, and blues / prog / psych rock, then you will enjoy Deathmarch. The two outstanding tracks are “World without a Smile” and “No Way Out,” with their inspired guitar riffs. Deathmarch is one of the high points in all of the Russian releases I’ve recently reviewed.